We all have to shop, even when we don’t feel like it. But, with so many products to choose from, we tend to spend a lot of time at the grocery store. And, not always do we choose nutritious products because the food labels are so confusing! The first thing we see when we choose a product are the large letters of the label. Instead, it’s important to pay attention to the small print, such as the list of ingredients and, according to our health, we can check the quantities of sugar, cholesterol, fats or sodium. Let’s head to the cereals! Fortified, enriched, added or extra? This refers to nutrients such as minerals and fibers that have been extracted during the industrial process and are added again (both minerals and vitamins) at the end of the process. 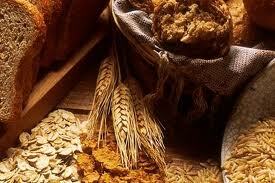 Choose cereals low in sugar and high in fiber. A product with more than 5 grams of fiber is a high fiber food. On average, adults need about 25 to 35 grams of fiber daily. Are you thirsty? Let’s choose some juice: If your children or grandchildren like juice, choose those than contain “100% fruit juice” with no sugar added instead of those that only have very little juice or more sugar. A way to decrease calorie intake is to add water or ice to your juice. Less sugar or less fat. What should I choose? The fact that a product is low in sugar or fat does not mean it doesn’t have calories. Many times, ingredients are replaced to provide more flavor but that doesn’t mean it’s more nutritious. How about some enchiladas for dinner? Whole grain or refined grain… Read labels to make sure the first ingredient is whole, so choose tortillas with 100% whole wheat and not unbleached flour. Lactose or Lactose-Free? Low fat dairy products. Although you might be used to whole milk and cheese, whole versions have more fat and cholesterol. Switch to low fat or skimmed dairy products – milk, yogurt and low fat cheese that are high in flavor but not fats. A great way to start your day! I feel like fish! We’re usually used to fatty and juicy meats. If we need to lower our cholesterol for a healthier heart, it’s best that we choose meats with less fat or substitute them for fish, which has omega-3 fatty acids, good fats for our heart and health! What nice colors! ¿Did you know that we should eat like a rainbow? Half our plate should contain as many veggies and fruits as possible. Generally speaking, vegetables and fruit are high in fiber and vitamins and low in calories – a perfect trio for every dish.